Will the New Hampshire Senate pass a bill requiring fee schedules to limit workers’ compensation medical costs or not? Neither side on the issue could predict the outcome on the eve of Thursday’s vote on Senate Bill 3. Both sides think they have enough votes to pass their version of worker’s comp reform, but they both agreed it’s going to go down to the wire. The rhetoric of both sides has heated up, with each claiming that it has the pro-business, free-market solution. One even called the other’s solution similar to communism. The problem, both sides agree, is that New Hampshire’s medical costs are among the highest in the nation, though this isn’t totally reflected in premiums because the state’s indemnity costs are among lowest. All this relates to a deal struck back in 1993 that limits how much workers receive when they are injured but it pays providers the sticker price for their services, so they would be encouraged to treat them and get them back to work faster. As a result, workers’ compensation insurers often pays several times as much to the same doctor to treat the same ailment as conventional health insurers. As it stands for today’s session, there are two amendments, but whether one of them goes forward or the whole bill is tabled — which could mean its demise for the session – remains to be seen. The first amendment, proposed by Majority Leader Jeb Bradley, R-Wolfeboro, is a compromise endorsed by the Senate Commerce Committee on a 4-1 vote. It would get rid of a clause that mandates that workers’ compensation cover the full price, instead requiring a “reasonable amount” be paid. It would also knock 15 percent off the sticker price, freeze that price for two years, and tie the third year to the cost of living. It would be up to the provider to justify why the costs are reasonable, flipping the burden of proof. But it does not include fee schedules. The second amendment, backed by Sen. Gary Daniels, R-Milford, does require a fee schedule tied to Medicare rates, if providers don’t voluntarily cut their rates 15 percent. It is backed by a collation of some 25 business groups, which pushed SB 3 from the start. 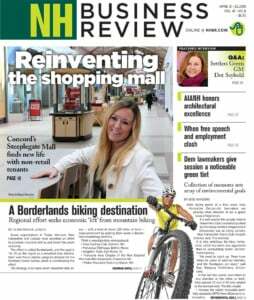 It’s a system that most other states use to control costs, said Peter McNamara, president of the New Hampshire Automobile Dealers Association. Indeed, backers of the Daniels amendment say that rather than reduce costs, the Bradley amendment would actually lock outrageously high costs in place. But as the vote gets closer, the debate becomes more over ideology than practicality. Vailas called fee schedules “government price-fixing … an almost communist solution to the issue,” akin to the government setting the price for cars. 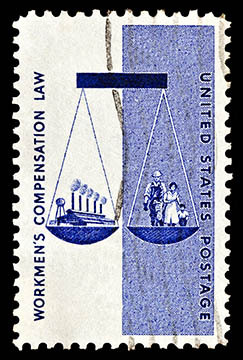 McNamara retorted that workers’ compensation is a government-mandated insurance program. “There is no free market with workers’ compensation,” he said. Indeed, he maintained that it is the Bradley amendment that mandates a 15 percent discount, whereas the Daniels amendment allows providers to cut costs voluntarily, only switching to fee schedules if that fails. “All we are saying is to do the same thing that 45 other states are doing to keep costs down,” McNamara said.